What Happens if You are Accused of Immigration Fraud? Home > Blog > What Happens if You are Accused of Immigration Fraud? Prosecuting immigration fraud is a top priority for the United States government. People who attempt to enter the country under false pretenses or use the system to gain benefits they are not entitled to could find themselves in serious trouble. Not everyone who immigrates to the United States does so with bad intentions. Immigration fraud can cover a variety of different scenarios. It can range from filing documents with false information to presenting false documents or entering into a sham marriage to get a Green Card. If you have been accused of immigration fraud, it is crucial to retain a Chicago immigration attorney right away. Document and benefits fraud are two of the main types of immigration fraud. Fraud is essentially when a person knowingly makes a material misstatement of fact with an intention to deceive another party. These crimes are vigorously prosecuted because the government believes they pose the biggest threat to the public and national safety due to a possible connection to immigration-related crimes like smuggling and human trafficking. Document fraud deals with the altering, manufacturing, selling, or counterfeiting of documents related to identity. It can sometimes be linked with identity theft of a real person who is either deceased or still alive. Benefits fraud deals with someone lying on his or her petition or the application for the purpose of getting immigration benefits. Some of these claims are hard to prosecute and can take years to resolve. Lack of Intent: For someone living in another country, it is not uncommon to seek assistance from someone inexperienced who gives bad advice or provides inaccurate documentation. There is Proper Documentation: Sometimes a language barrier can keep someone from understanding the entire process. 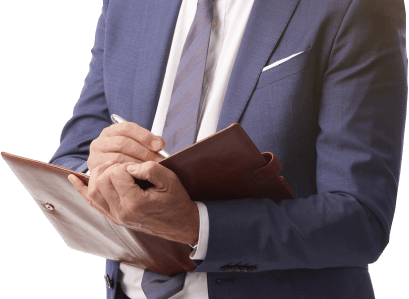 If there are charges where there is proper documentation in place, you need an attorney who can ensure the right information gets entered into evidence. Lack of Knowledge: One defense is lack of knowledge that any type of fraud was committed. There are some serious consequences if you are found to have committed immigration fraud. You could be barred from entering the country, or you could be deported. If you lie under oath or make a false statement on any of your immigration documents, you can be found guilty of perjury, as well. This could carry a prison sentence and hefty fines. To avoid being accused of committing immigration fraud, be sure you are retaining a skilled and knowledgeable Chicago immigration attorney who has experience providing the type of assistance you need. At Kriezelman Burton & Associates, LLC, we have been helping people with their immigration-related needs since 1974. Contact us today at 312-332-2550 to schedule a consultation.